A few weeks ago, I asked my Facebook friends for some help. My hands started to crack and bleed from dryness despite drinking a GALLON of water a DAY with this pregnancy. I knew I wasn’t dehydrated – yet my skin was not playing nice. I know the Winter is the driest season… but this was just ridiculous. There were so many recommendations made but one really stood out. 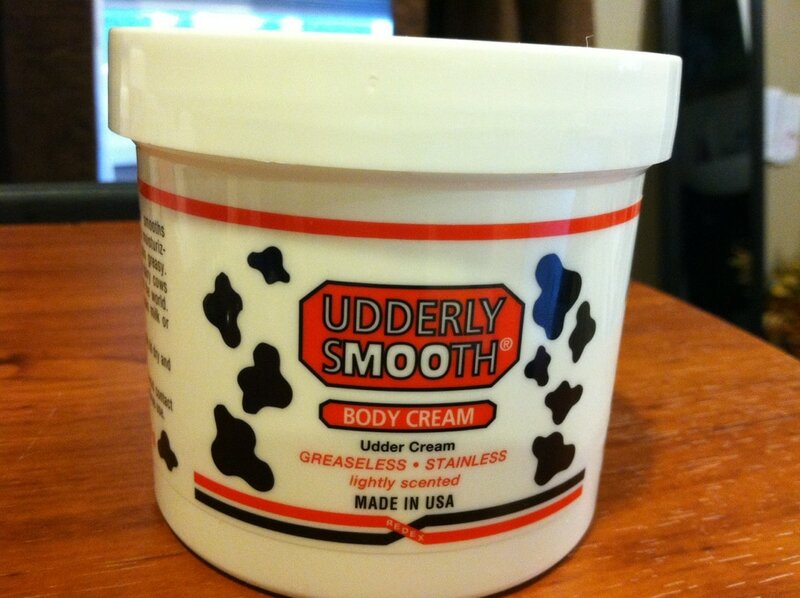 Udderly Smooth Body Cream. When I was a teenager, I babysat one summer for my mother’s friend. She was so very put together. Always made up to the nines. Her house was consistently in a perfect state. Really buttoned up. While driving in her car, I noticed a jar of Udderly Smooth and asked her WHY – out of ALL the lotions on the planet – she would choose to use a lotion that looked like a cow. And she said because it really works. So, when my Facebook friend wrote “Udderly Smooth” on my timeline I had a flashback to that summer of babysitting. Since I am a PRIME member on Amazon, I snagged a jar with free shipping and have been using the lotion ever since. So glad you found salvation! The brand name though…mooo.